American Standard has received a 2018 WaterSense Sustained Excellence Award recognizing the brand's years of award-winning efforts to develop and promote WaterSense-labeled products and encourage water conservation across the country. The U.S. Environmental Protection Agency (EPA) previously named American Standard WaterSense Partner of the Year in 2017 and 2012, and also honored the brand with a WaterSense Excellence in Innovation and Research Award in 2016. EPA's WaterSense program supports product certification and encourages consumers to reduce water usage through water-saving products, services and simple changes in behavior. 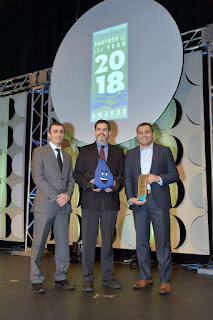 The annual WaterSense Awards recognize organizations that are on the cutting edge of water efficiency, innovation, collaboration, and outreach.